I have always thought of this book and have continued my research into the benefits of combining walking with my counselling practice in Sheffield. 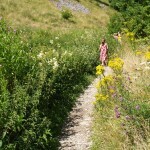 I love walking and I am blessed to be living in Sheffield (a city with ample green spaces) and near the Peak District. Additionally, I have found walking lifts my mood and clears my mind. Both my love of walking and the book inspired me to introduce Walk Talk Therapy to my counselling practice here in Sheffield. Instead of us being in the traditional counselling or psychotherapy setting at my practice in Netheredge, we will be walking. Walk Talk Therapy can be beneficial for people suffering from bereavement or loss, anxiety, life transition or depression. It can also help clients who need help to reduce tension or fatigue. It is also ideal for parents with small babies who are suffering from Post-natal Depression as it allows them to bring the sleeping baby with them. I have selected various different routes that meet both people who prefer a short, slow paced amble and those who prefer a quicker pace. I offer you a choice of routes but you as a client will lead the pace and we will go at a speed that suits you. I start my Walk Talk Therapy from Totley (S17) or Graves Park (S8). If you choose Totley we will meet at Cross Sythes Car Park (where you can park for free). 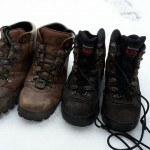 We will either walk in nearby Gilly Woods or out into the neighbouring Peak District. Walks which start from Graves Park (where there is a small charge for parking) will be in Graves Park and will include small hills. Both of these areas offer diverse environments which can be enjoyed whilst talking about your concerns. Session times and appointments are arranged the same as face to face sessions. For further information, look here.